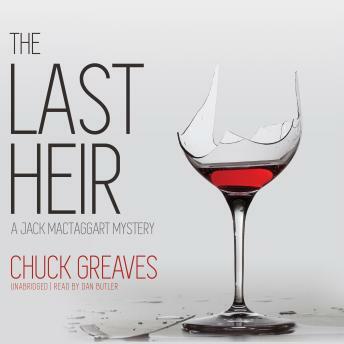 An intriguing new case lures attorney Jack MacTaggart to the rarified air of California wine country in order to investigate the death of an heir to a Napa Valley empire. Monsieur Giroux is not a happy man. Of course, who could be happy while discussing the death of their son? Without an heir, his Château Giroux winery will be inherited by another family member, its grapes plowed under to make way for a lucrative real-estate deal. Yet Giroux believes that his son may still be alive and hires MacTaggart to investigate. In the third entry in his Shamus Award–nominated series of legal mysteries, author—and sometimes vigneron—Chuck Greaves blends themes of greed and vanity, rivalry and revenge, bottles them with an unexpected murder, and pours forth a plummy magnum of page-turning mystery about a privileged but deeply dysfunctional American family.